Jaguar Club Of Houston. South Central Region – Club #38 of the Jaguar Clubs of North America (JCNA). Original Jaguar Club of Houston was formed in 1961 and became affiliated with JCNA in 1979. We meet the 2nd Saturday of each month at 1:00pm at the Black Labrador, 4100 Montrose, Houston, TX 77006. The club has over 100 Members. Club events include an Annual Dinner Party and Annual General Meeting (social event) as well as drives and other activities throughout the year. We have a monthly members meeting which is open to anyone with an interest in Jaguar cars. We also hold a Concours d’Elegance – Usually at end of October. The club has been in existence since the early 60’s in some way, shape or form, but finally became a JCNA affiliate club in 1979. Like most car clubs, JC of Houston is kept alive and functioning by a core group of volunteers who unselfishly volunteer their time and efforts year after year. Informal monthly board meetings are held in a private room at a specific “car friendly” restaurant in the Houston area. Here, various club events are planned and managed, and all members are encouraged to attend. 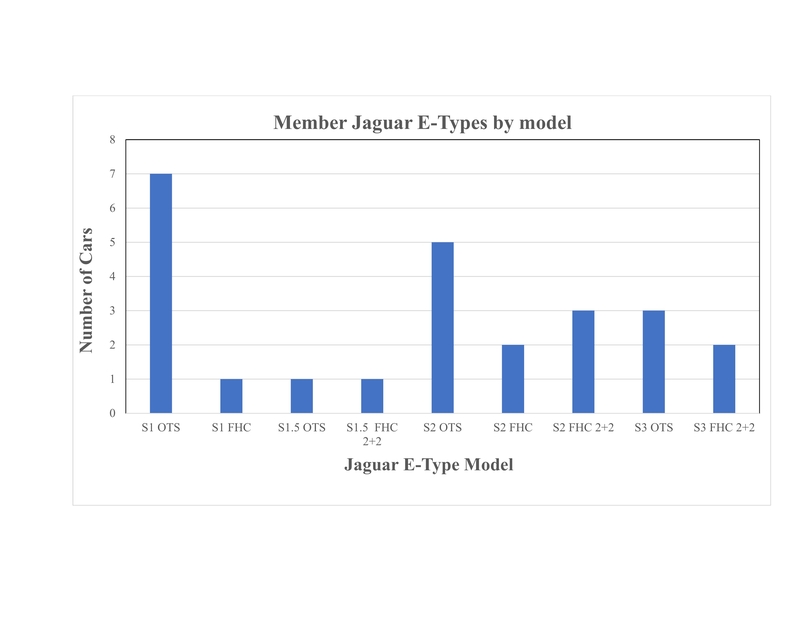 The split between new-model jaguars and the old classics is about 60-40. As a result, there are just as many members who seem to want driving events as there are those who are more show-oriented. Our most highly attended events include a spring drive through the back roads up to the Brenham area; our Annual General Meeting social dinner where new officers are installed, future events announced, and a general “state-of-the-club” address is given by the club president; a time/distance rally in the “hinterlands” of the Houston area; a JCNA slalom; and our Concours d’Elegance where both classic and modern Jaguars are displayed and judged. 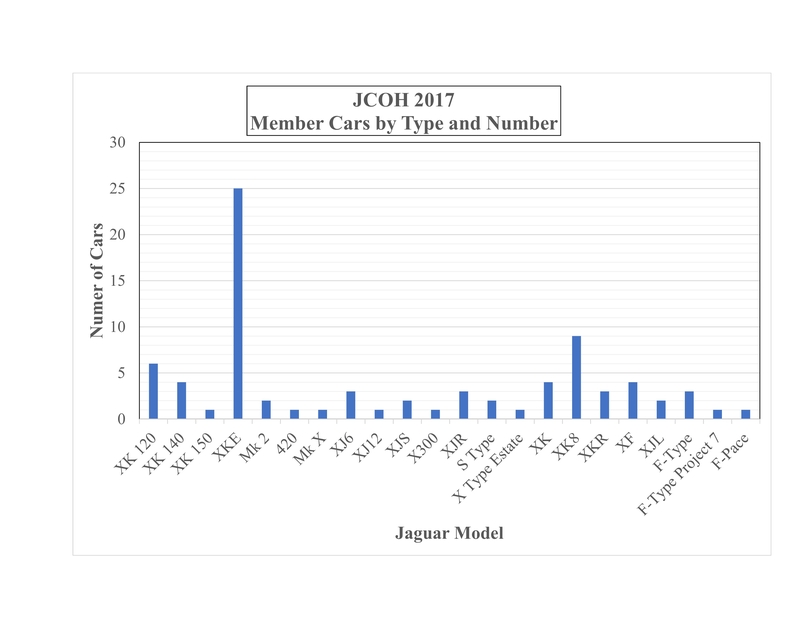 The Jaguar Club of Houston was quick to embrace the idea of developing a website on the Internet for purposes of club announcements, promotion, and communications. All newsletters are posted (and archived) on the website, which at the time of this writing, is currently undergoing a complete makeover. Photos of club’s activities have graced the cover of “The Jaguar Journal” five times. The Houston Club also hosted the 2007 JCNA AGM. By far, the most visible club event is our Concours d’Elegance, and in 2016, we celebrated our 39th annual show. This is also the clubs’ most difficult event to plan and execute. About 10 years ago, the Concours moved from hotel parking lots to highly-visible and high-end venues which have included Kemah Boardwalk, Moody Gardens Resort in Galveston, Pier 19 at Harbor House, Carlton Woods Country Club in The Woodlands, and the Sugar Land Town Square in Sugar Land Texas. Thanks to the generosity of many sponsors, we have produced full-size posters for each Concours for promotional purposes. Not only was our club the first to use CD’s to distribute Concours brochures, forms, and information, we now produce a broadcast-quality video “invitation” to our members (and others) that details general information about the upcoming event with shots of the show site, surrounding shops, and location of the awards dinner. With entries from other Texas cities, we average approx. 60 cars at our best Concours, many of which are repeat JCNA national champions. The Jaguar Club of Houston continues to strive for excellence in the quality of its activities and events, always seeking new ways to increase membership interest and participation. in 182 days and 10:59 hours.